A lot of us spend a considerable about of time caring for and watering our plants. While the majority of the time, the sun is a great friend to our plant life, it can also dry out your plants and soil through evaporation. As a way to combat this issue and keep your plants and soil moist for longer, we use mulch. Mulch is an organic matter that’s spread over your garden beds and surrounding plants in order to protect your plant life and soil and well as support healthy growth in your garden. The best mulches are generally organic and can come from a variety of garden and food by-products, which we will cover below. When it comes to mulch, bigger is better. Coarse mulches are proven to be much more effective at allowing water to pass through the mulch and into the soil, whereas finer mulches tend to absorb a substantial amount of water themselves, reducing the amount available for the soil. Generally speaking, mulch material should be at least 5mm in size for the best results. 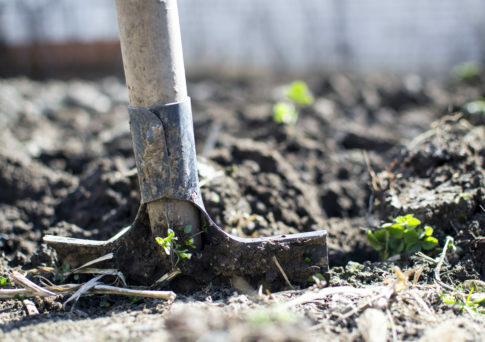 For the best results from your mulching efforts, ensure the area your garden area is free from weeds and wet the soil prior to laying your mulch down. Apply your mulch to a depth of around 75mm and avoid mulching right up to tree trunks or plant stems as the mulch can cause rotting or burn the plants. Mulching is an effective way to improve the health and moisture or your soil and plants, creating a luscious and appealing garden for your yard. Mulching is accessible to us all (with a little effort), and it not only saves water, and therefore saves us money. But it’s a great excuse to get out in the yard and into the sunshine. For more tips on how to care for your yard and turf or improving the look and feel of your backyard, visit the Go Turf website or find us on Facebook here.